Home » Govt Jobs » Govt Jobs 2015 » Jobs for Asst Warden » Jobs In Kolkata » Jobs in National Institute of Fashion Technology. » Junior Asst » Lab Asst. » Asst Warden/Lab Asst./Junior Asst. jobs in National Institute of Fashion Technology (NIFT Kolkata) in Kolkata. Asst Warden/Lab Asst./Junior Asst. 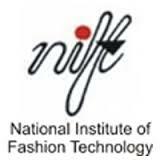 jobs in National Institute of Fashion Technology (NIFT Kolkata) in Kolkata. Educational Qualifications : For Fashion Communication- (i) Graduate from a recognized University/ Institution (ii) Should have one year Certificate / Diploma in Photography from reputed Institute. Applications in the prescribed proforma should be addressed to the Director, National Institute of Fashion Technology, NIFT Campus, Block-LA, Plot-3B, Sector-III, Salt Lake City, Kolkata-700 098 and superscribed “Application for the post of __” on the envelop. Self Attested copies of certificates and testimonials as proof of age/educational qualifications/caste/experience etc. should be attached with the applications form. The Demand draft drawn in favour of NIFT should be attached with the application form. The demand draft should not be tagged or stapled but should be pinned or clipped at the top of the application form. The last date of receipt of the applications is 28.08.2015. Labels: Govt Jobs , Govt Jobs 2015 , Jobs for Asst Warden , Jobs In Kolkata , Jobs in National Institute of Fashion Technology. , Junior Asst , Lab Asst.